Gardeners prize camellias for the shrubs' flowers, which bloom from winter to spring. The broad-leaved evergreen shrubs, native to eastern and southern Asia, produce a multitude of pink, red, white or variegated blossoms. 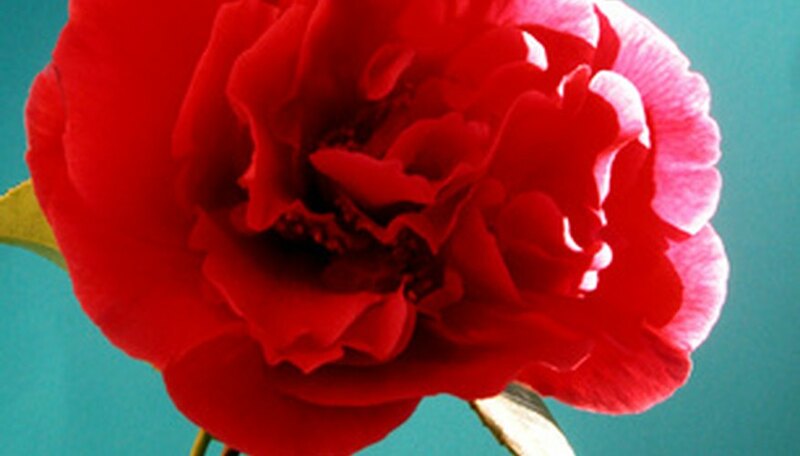 The camellia's popularity surged during Queen Victoria’s reign, and it was introduced to America in the 1800s. While pruning is not required, your shrubs will benefit from being trimmed every few years to spruce up their shape, stimulate new growth or eliminate dead wood. Wait until your camellia bush has finished blooming before you prune. Your shrub will start putting out new growth once the flowers have faded. Remove dead, diseased, rubbing, crossing or spindly branches as needed. Branches that rub can open wounds and lead to infection by diseases or insects. If removing an entire branch, cut as closely to the trunk as possible. Dip your cutting blades into a 10 percent bleach and water solution and wipe them dry with a clean towel between each cut to avoid spreading disease. Fertilize after pruning and during each month of the growing season with a fertilizer formulated for acid-loving shrubs. Prune branches to the base of the most recent growth nodule to make your shrub bushier. The buds just below the cut area will branch into several new stems. If you cut in the middle of a stem, only one new stem will appear. Turn an overgrown camellia into a smaller shrub in a two-phase process. In spring, after the blooming is finished, remove lower limbs and leave the top 1/3 of the shrub intact. The trunk will sprout new growth. The next spring, after blooming ends, cut the top of the shrub to the height you desire. Rejuvenate an older camellia shrub and turn it into a tree by removing all the branches from the lower part of the trunk. Remove any rubbing limbs above, along with spindly or weak wood.